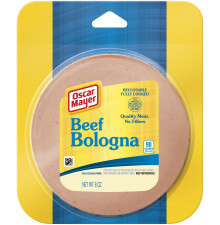 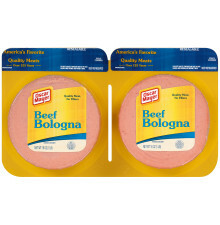 Oscar Mayer Bologna is made with quality meat and no fillers so you can enjoy the taste you want with nothing you don't! 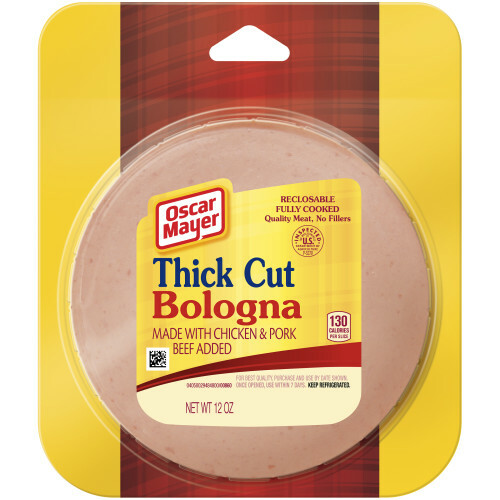 Enjoy in thicker slices for the ideal bite. 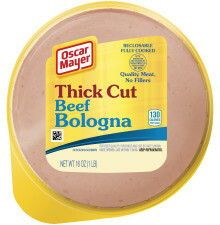 MECHANICALLY SEPARATED CHICKEN, PORK, CORN SYRUP, WATER, CONTAINS LESS THAN 2% OF SALT, GROUND MUSTARD SEED, SODIUM PHOSPHATES, POTASSIUM CHLORIDE, SODIUM PROPIONATE, SODIUM DIACETATE, BEEF, SODIUM BENZOATE, FLAVOR, SODIUM ASCORBATE, SODIUM NITRITE, HYDROLYZED BEEF STOCK, AUTOLYZED YEAST, DEXTROSE, EXTRACTIVES OF PAPRIKA, SODIUM LACTATE, POTASSIUM LACTATE, CELERY SEED EXTRACT.